American Fence Company has since grown a lot in our 50+ years. We are now a multifaceted fence company complete with materials and fence installation. We have built 9 branches that serve 13 states; along with a handful of divisions that specialize in landscaping, access control and playground equipment. Our most recent branch just opened in Sioux City, IA at the beginning of 2019. American Fence Company has been installing fences in Sioux City for years, and in 2018 we finally made the choice to put a bricks and mortar location in Sioux City. We are situated at 4700 South York Street in Sioux City, Iowa and are ready to service your fencing needs. Looking to get a new fence, and you would like an idea of what it will cost you? 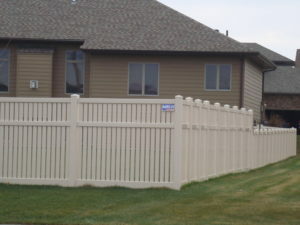 We proudly offer free estimates for commercial, industrial and residential fence installation. To get your free estimate, call us today at 712-454-7732 or submit an online request.